Viknesh Vijayenthiran August 8, 2017 Comment Now! 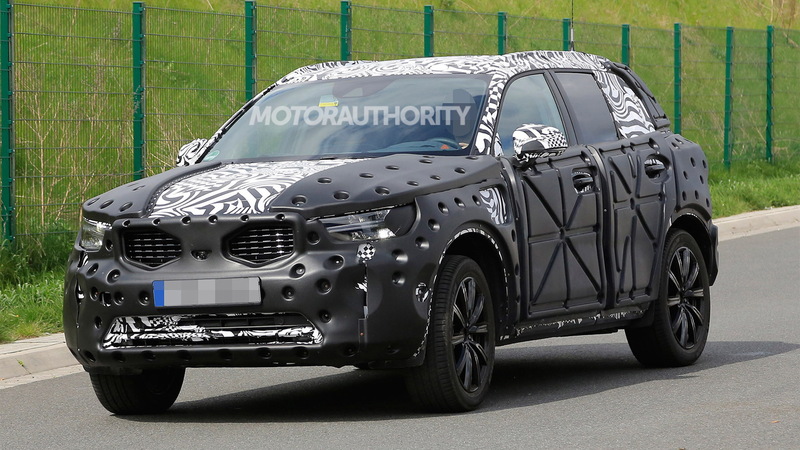 A prototype for Volvo’s upcoming compact SUV, the XC40, has been spied again. 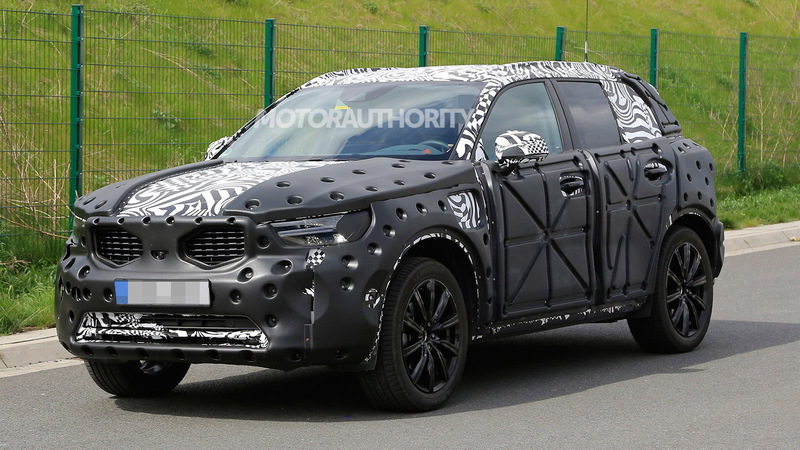 The XC40 was previewed in 2016 by the 40.1 concept car, and judging by the prototypes it looks like the production model will closely resemble the concept. Volvo’s next-generation compacts will be based on the CMA (Compact Modular Architecture) platform developed by Volvo in partnership with parent company Geely. The platform promises advanced technologies in the areas of connectivity, electrification and autonomous driving, as well as the refined driving dynamics you’d expect from a premium offering. 2019 Volvo XC40 spy video from Motor Authority on Vimeo. The platform has already spawned a vehicle for Geely’s new Lynk & Co brand, and the next recipient will be the XC40. We’re expecting the XC40 to go on sale in 2018, as a 2019 model. 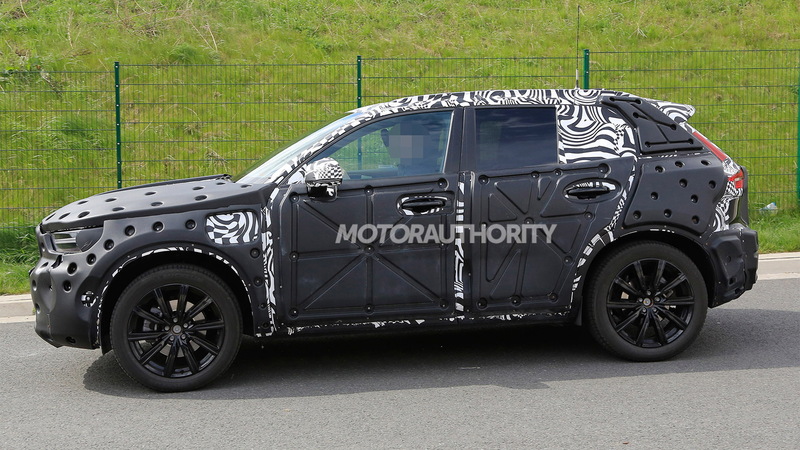 Rivals will include the Audi Q3, BMW X1, Cadillac XT4, Infiniti QX30 and Mercedes-Benz GLA. The most powerful models in Volvo’s compact range will wear a “T5” badge and feature a Twin Engine plug-in hybrid powertrain consisting of an internal combustion engine and electric motor, just like in the XC90 T8 Twin Engine. At the other end of the spectrum will be versions with inline-3 engines that Volvo has confirmed will feature “T2” and “T3” badges. Expect D2, D3 and D5 diesel variants as well, though most likely not in the United States. Buyers of Volvo's compact range will also be offered a much broader color palette than with the automaker's other models, with dozens of possible exterior and interior color combinations to be made available. 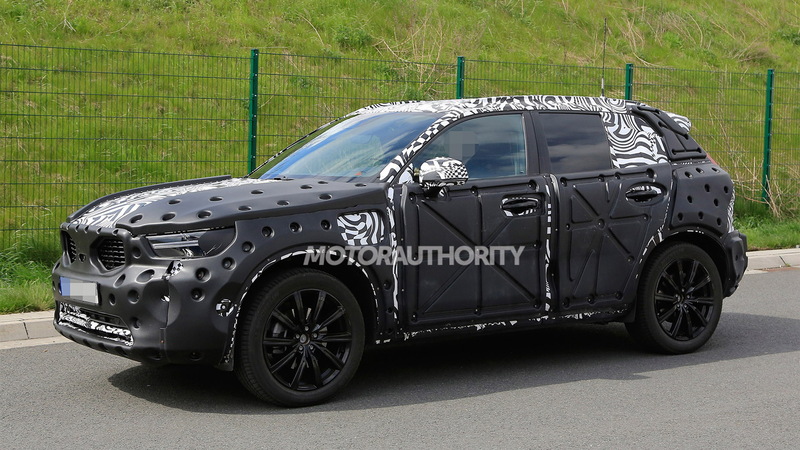 Beyond the XC40, we will also see a related S40 sedan and V40 hatchback. The S40 was also previewed last year in concept form, while the V40 will simply be a replacement for the current V40 sold overseas. Volvo will build its new compact cars at its plant in Ghent, Belgium, where the current V40 and V40 Cross Country soft-roader are built. The cars will also be built in Luqiao, China at a plant shared with Lynk & Co. Note, before the new 40 series models arrive, Volvo will start introducing redesigned 60 series models. 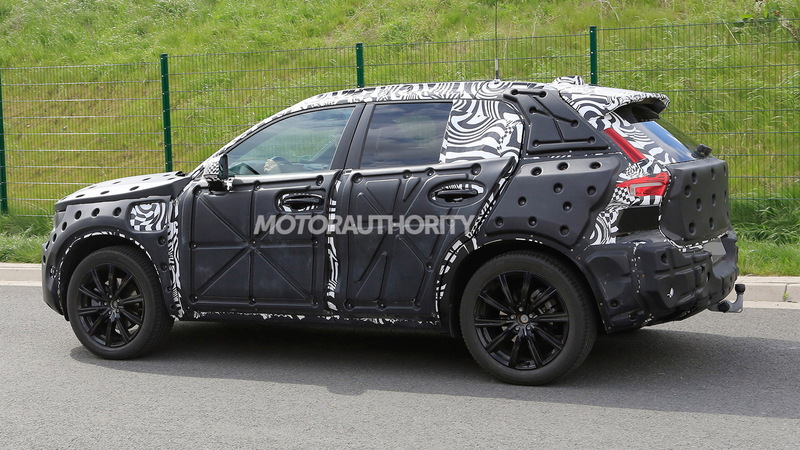 The first of these is the redesigned XC60 that debuted at the 2017 Geneva auto show.